Palmer’s Peculiarities Bohemian Beard Oil is a small batch, all natural beard oil that is hand-made in East London. The brand produces vegan friendly beard care products and has six scents and one unscented oil in the range. Bohemian has a scent blend of Patchouli, Sandalwood, Lemon, Geranium & Tea Tree essential oils and I love it! It is beautifully floral, sweet and very slightly smoky and it has been blended absolutely perfectly. The base for the oil is Jojoba, Grapeseed and Vitamin E and it has left my beard feeling damn good, it feels soft, looks good and I am very happy with the results. Of course, please don’t be put off by the ‘vegan friendly’ if you aren’t vegan, I know this happens but it makes no difference! 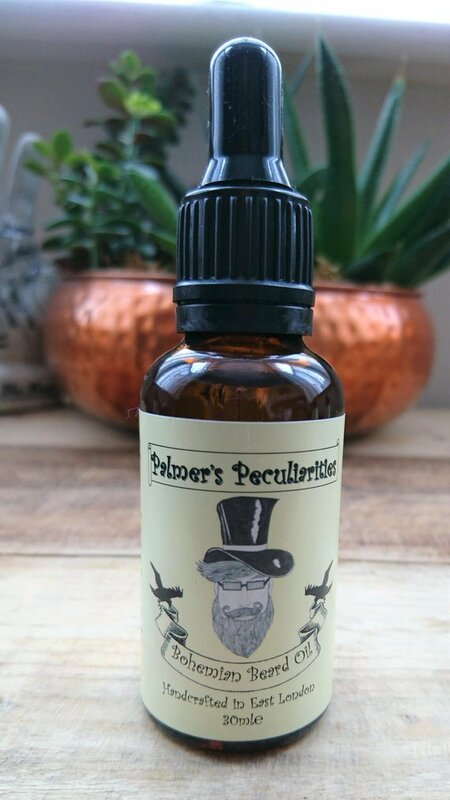 The 30ml Palmers Peculiarities Bohemian Beard Oil comes with a glass dropper to dispense the oil and costs £12.99 from the Etsy Shop.